1. The Biblical Question: What does Scripture say? To answer this we need to check translations, do our word studies, and find out exactly what words best convey the meaning of Scripture. 2. The Theological Question: What does Scripture mean? Here we need to interpret what is said, which requires commentaries, cultural background studies, etc. At this phase, John Glynn’s Commentary and Reference Survey is a must-have for every preacher and teacher. He rates all of the best commentaries and other reference material on various books of the Bible and theological topics. 3. The Memorable Question: What is my hook? A word, image, concept, doctrine, emotion, or person needs to be the hook that is woven through the sermon. Without a unifying hook, the sermon will not be memorable for the hearer and will end up seeming like a number of disjointed thoughts. 4. The Apologetical Question: Why do we resist this truth? Here we are assuming that people will not simply embrace God’s truth but fight it with their thoughts and/or actions because they are sinners who, like Romans 1:18 says, suppress the truth. So, we attempt to predict their objections so that we can answer them and remove their resistance to get them to embrace God’s truth for their life. This part of the sermon must be confrontational and often results in people walking out, standing up to argue, and sending nasty emails, all of which indicates you’ve hit a nerve like God wants you to. The real fight begins at this point and a preacher needs to come with his hands up looking for an opening much like a boxer. The issue here is uncovering the idols that people have and breaking their resistance to the truth of the gospel. This is also accomplished by co-opting their cultural hopes and presenting the gospel as the only answer to their deepest longing. 5. The Missional Question: Why does this matter? We need to connect all that we have said to a missional purpose for our lives, families, church, and ultimately God’s glory. Something may be true but if people do not find it to also be important, they tend not to act on it. On this point I like to connect Scripture to the character of God, nature of the gospel, our mission in our city, and the quality of our lives both individually and collectively as a city of God within our city. 6. The Christological Question: How is Jesus the hero/savior? The Bible is one story in which Jesus is the hero. Therefore, to properly teach/preach the Bible we have to continually lift Him up as the hero. Any sermon in which the focus is not on the person and work of Jesus will lack spiritual authority and power because the Holy Spirit will not bless the teaching of any hero other than Jesus. Like I said, great stuff. But I also think there’s a glaring omission. As I look around the Church in America today, I see and hear a lot of preaching that is nothing more than pop psychology packaged in spiritual terms. It’s Christianity as self-help therapy, stripped of the cross, the blood, sin, redemption, and the Lord. In truth, it is no gospel at all. 7. The Praxis Question: So what are the next steps toward daily living out this truth in your life and mine? If you read my post “The Question No One Wants to Ask…” you’ll know that our preaching today has not been very effective at making disciples. I give some reasons why in that post and note what we can do to help address the problem. I think what Driscoll lists above is very valuable at fixing the problem also. He’s just missing that seventh step. The #5 Missional Question comes close to #7, but it’s still too conceptual. People in the seats are dying to know how the Gospel works in a practical way in their modern lives. They might hear the world’s best theological explanation of the cross, but if no one will tell them what to do to make that explanation real in their own lives, the message becomes like seed sown on hardened, baked soil. Those of us in the seats today are clueless. Seriously, we are. Most of the foundation of Christianity that undergirded this nation is gone. We’ve got people today who don’t know what a hymn is. Even if what was in the past was merely a reflection of American civil religion, at least people understood that language and what to do with it. Today, few do. Folks today have to be shown. They need to have someone tell them in detail what to do. Just as the Paul explicitly told the Philippian jailer what he needed to do to be saved, preachers today must give some idea what the next step should be. “Jesus is Lord!” Yes, now what must we do next? “Sin kills!” Yes, now what must we do next? Jesus, whenever He spoke with individuals or small groups, absolutely taught this way. Consider His example of washing His disciples’ feet. I think they got that message of love and service pretty clearly because Jesus showed them what to do next. Or take the negative example of the rich, young ruler who asked the high concept question about the commandments. Jesus responded by telling him what the next step should be in response. Jesus left no doubt as to what to do next; the ruler simply didn’t want to do it. I’m not sure we’re preaching what to do next in Gospel-centered churches. I think we sometimes spend too much time filling people with knowledge they can’t figure out how to use. But if the difference between the sheep and the goats in Matthew 25 is what they did and didn’t do, then the people in the seats have to know what the godly next step is for what they have learned. They must have a clearly directed outlet for praxis. Not only this, but as Jesus showed, people need something else that very few preachers are willing to offer—and that’s for the preacher to model the truth so obviously in true servant fashion that no one can miss how the message is supposed to be lived out. It’s one thing to say that Jesus Christ is the only way to salvation, quite another to show how that should inform our evangelism, and quite another again to have the preacher model how it’s done. Yet I would guess that the number of churches where that occurs in all three steps can be listed in the single digits percentage-wise. I suspect that in the biggest churches with the most famous pastors it’s impossible for the average Joe to even scheduled a meeting with that pastor, much less hang out with him doing door-to-door evangelism together. We need that #7 question. And we need our leaders to draw alongside the people and show them how it’s done. Huge omission: Seeking the Spirit. Where is prayer? Where is discernment? #1 and #2 on that list is worthless without the input of the Holy Spirit. I would rather spend time in prayer before pulling a commentary from the shelf. And if the return is that “well, prayer is a given” then it is obvious that it is not. A sermon without the input of the Holy Spirit is mere words. And no “hook” will redeem it. I think, though, that what you mention is assumed, especially given the person who compiled the list. It’s like saying, “The first thing I do in the morning is pray and read the Scriptures.” Well, no. First thing you do is breathe. Then you get out of bed. Those things are assumed, of course. Prayer and the unction of the Holy Spirit, at least as I see it, are assumed. Do all preachers pursue them before they preach? Sadly, no. But many do. And those that don’t know they should. He reaches for, in every one of his 6 points, human wisdom, human knowledge, and human reaction. Not once does he mention, or seek, the actions of the Spirit on the mind and heart of man. He iterates that his actions, his choice of subject, verb and “hook” produce sought after results. I like how you expanded on it, but I think your #7 is a subset of and included in Mark’s #5. As you know, I’ve been following your blog recently. I will admit that, while I still enjoyed and benefited from reading some of your previous posts, I was a little frustrated. I felt like, in some of them, it was (much needed) discourse, but lacking praxis. I am very thankful for this post. I can agree so much with what you have said. In my conversations with peers (here at work, and in other relationships) I tend to deal with very detailed, very deep subject matter (theologically, philosophically, etc.) — but there are definitely more times than naught where I feel completely lost and frustrated at the end of it (whether it be in conversation or a sermon from the stage). Where is the practicality? Where is the movement? And sometimes I feel like such an amateur because I know that I need to be given illustrations and encouragement, as well as images (inspiration) for how to live my Christian faith. I often feel like, for whatever reason, needing someone to guide me is unacceptable. However, I’m glad to see you agree that it’s not foolishness. If even after three intimate years of following Jesus the disciples needed Him to still live His words rather than just speaking them, I imagine there’s also hope for me. What we (those who are younger in the faith) need is more leaders who do not just step out with their words, but also with their actions. Christ is my Lord, my Guide, my all — but He has also placed people in His church who will help guide me, support me, train me, etc. Thanks for showing me I am not some sort of pariah for wanting/needing instruction. This blog exists to raise issues that are not discussed elsewhere, to have readers discuss them, and to find practical answers to those issues. I try to make sure recent posts link to past posts that contained more praxis. Sometimes I don’t rehash solutions I’ve mentioned in the past. I’ve taken that approach in deference to long-time readers who have heard the solutions before. However, you are not the first person to let me know that I should be doing a better job reiterating solutions mentioned in past posts. I will try to make solutions (be they old ones or new) more obvious in the future. Thank you. In regards to the “missing application,” I’ve responded at my post and think the point you’re making is belabored. I also like what Bob had to say at In the Clearing about application being the fruit of a heart transformed by the Gospel. Not that we shouldn’t apply the gospel; just that giving “short shrift” to “doing stuff” is not a homiletical tragedy. I also just don’t buy at all the notion that people don’t know what to do. Apart from decades of “thou shalt” sermons, even the immature Christian knows the golden rule and other basics of obedience. We all know what good works look like. We just don’t want to do them. Your wife loses her job. The economy is bad. You both start looking for work, but what both of you find when combined doesn’t equal what she used to make. In fact, it doesn’t come close. You were tight to begin with. Now things are really scary. Just what you needed! Thank you, God! And you are grateful beyond all belief. Jared, that’s exactly how it is. That’s exactly what is needed. The condition of most people in the American Church today and in the hearts of those people outside it are exactly like yours would be in that illustration. And it’s not about doing it on your own, either. It’s not the self-feeding thing. People don’t just suddenly know what they are supposed to do when they get born again. Did you hand your kids a book and say, “this has everything you need to know, just read it.” No. You modeled the behavior. You walked alongside them. You helped them when they made mistakes. You showed them how to live. All that is sorely lacking in our churches today. And I disagree, in part, with Bob, too, because he makes a basic assumption that he can’t make. A heart transformed by the Gospel is a heart that has learned how to live the Gospel. Accumulating knowledge does not produce fruit. Doing what you’ve learned does. And God teaches the Body through the Body. That’s why I need you and you need me. Teaching happens through other people, and the best teachers are those that model the truth, especially the hardest truths. This is why I don’t consider this a beaten horse. This issue is not a small one. It goes to the root of systemic problems in the Church. It’s difficult. It needs help from the trailblazers. Our problems require radical solutions like the ones I have proposed over the years of blogging Cerulean Sanctum. And it needs people who have been on the bleeding edge most of all to stand up and help us people who are standing here asking how we’re going to deal with the deep, deep root of issues before us. I think many of the people who are not involved would get involved if they could believe that radical solutions can help us out. But people are stunned by the depth of the sociological problems we face, the same problems that are hurting the Church here. They are numb. Sure, some will never help, but I believe many will. They just need visionary leaders who go beyond the status quo. They need to be told by those leaders what the next step is. That’s why I think this is so critically important. Nice illustration. But that sort of modeling can’t/doesn’t take place in a message. I thought we were talking about sermons. If all we’re talking about is sermons in the context of a serving church living out the gospel message, I’m with you. Although I’d have to see some serious data to support the contention that the “gospel-centered churches” you allude to aren’t doing this. The “go agrarian”, etc. is getting really One-note Johnny. It’s perhaps the most impractical of the practical applications you’re asking for, and yet it is the one you refer to most often. The modeling is an extension of the sermon. It’s part of the “How” equation. You can talk out some of the how, but you also need to show how “How” is done. I’ve heard sermons by the nationally-known guys out there with their MP3s online. Often, they are too conceptual. The “How” is missed. Plus, I’m familiar with the solid preachers in my area and some of the great Gospel-preachers of the past. Even the great ones stumbled on this. They got a bit too conceptual and the next generation didn’t know how to practice what they were taught. Stunned? Numb? Are you talkin’ to me? Dan, I am so stunned and numb that I don’t know what to say anymore. We’ve just got driven out of one church because the “worship music” was just so dang horrible that we reached our Popeye Point — “I’ve taken alls I can stands ‘cuz I can’t stands no more.” There was no way to talk to the pastor about the problem, so I had to rustle up a respected elder and give him our “exit interview” in the hopes that perhaps someday something might come out of it. And you think these pastors are far-sighted enough to do anything about what you deal with here on your blog? For years now, every pastor I have met has had only one invariant objective: keep the church-factory machine running. Nobody even thinks there’s a larger problem, that the surrounding American Culture has twisted and deformed the Church into something XP never intended. Go and reference my article on Lunar Skeletons. For Vincent Xavier, down in Murrieta, California, the final solution is all very simple: The church in America will soon, very soon, be mostly killed off, literally, by sword, famine and pestilence. There will hardly be anyone left to watch his soon-to-start television ministry. How’s that for a solution? I’m wondering where all of these gospel-centered sermons are being preached at. Do you have some examples? Because frankly I’m just not seeing it happen very much in my area. What I see mostly is either the “better living” type sermon on marriage or finances or sermons which focus on what you need to be doing. If you are continuously drawn to Christ through the sermon and see how he is integral to whatever text is being preached then I have to believe that will have a practical affect in your daily life. The Holy Spirit absolutely will set fire to the Gospel inside a person’s life. But He does so through more than just someone delivering high-concept teaching. When I look at my own life, everything good that has stuck, that has brought forth fruit, did not come from sermons. It came from people modeling the Gospel, showing me what the next step was. And if we were honest with ourselves, I would say that this is true for most of us. I’m not some bizarre exception to the rules. The disciples were Jews. They knew how to pray. Why then did they ask Jesus to model how to pray? Why? And why did Jesus’ modeling of realities they already were familiar with blow their minds? That’s what is missing from a lot of preaching today, especially in those churches that have a high regard for the Gospel. It’s far too aimed at the intellect. It’s not something people know how to translate from high-concept to practical living. I know. I see people who struggle with that all the time. I’m one of those people myself. Someone says to me to “take up my cross daily,” well, that’s a pretty deep concept. What does that look like in my relationships with other people? How does that affect my blogging? What does that mean for how I teach my children about the Lord? How does that inform whether I should resist the status quo within American culture? How do I take up my cross daily? Yes, God will reveal some of this to me directly through prayer and study. But He will more than likely do so more profoundly through showing me how other people are taking up their crosses. And their pattern will no doubt help me. They will model behavior I never considered. They will help me find the next step in bearing my own cross. That’s what we need. We just need people to start preaching and teaching that way. I’m wondering where all of these gospel-centered sermons are being preached at. That’s what is missing from a lot of preaching today, especially in those churches that have a high regard for the Gospel. It’s far too aimed at the intellect. I’d need some definition of exactly what “high-concept” means. But… it seems to me you’re conflating sermons that are “seminary” level with those that are gospel-centered. Perhaps you’re just assigning the term “gospel-centered” to sermons from churches that “have a high regard for the Gospel”? Would those be Reform type churches that you have in mind? In any case, being gospel-centered does not mean ignoring praxis – I’m not sure where you got that idea. It just means that the work and person of Christ is always central/foundational/essential to whatever you’re talking about or whatever text you’re preaching from. Mark Driscoll(regardless of his other faults) and Tim Keller are good examples of this. And amen that we grow as much in our relationship with others as we do sitting under some guys teaching. IMO, discipleship and mentoring are sorely lacking in churches today. But again, nothing about being “gospel-centered” would contradict that. I still wonder where all these churches and sermons are that you keep referencing. Dang it! I came over here to tell you how pleased I was that this was posted, and what do I find: the paralysis of analysis. Can’t we ever leave simple truths alone? Dan, the original post is not original with the authors you sight. But it is timeless advice; and your addition of #7 was necessary to remind us of the symbiosis of orthodoxy and orthopraxy. Now, let’s all of us ministers of the Gospel of grace get busy with the praxis and leave this addiction for theological oneupmanship behind. Yeah, let’s hear it for praxis! Huzzah! I’ve long thought that 90% of the learning is in the doing. The older I get, the more I’m convinced. I have a friend who asked when he should sign divorce papers. His wife was divorcing him. He did not want the divorce. He wanted a Biblical answer of when, specifically, to sign the papers. I had heard many sermons on marriage and divorce; why divorce is a sin; and when, nevertheless, to divorce. But I had never heard anything that answered my friend’s specific question. Finally, I pointed to Matthew 18:15-17. I reasonably believed he had tried to reconcile with his wife himself, with two or three witnesses (parents), and then through the church as best he could. So I told him to treat her like an unbeliever, and as Paul wrote, if she is unwilling to stay, then let her leave (1 Cor. 7:15). Sign the divorce papers. I believe this was the Lord’s answer for my friend. It also is one of my best, real-life examples of “praxis” coming directly from the Word. But my friend was troubled because he did not know if he had obeyed Matthew 18:15-17. This would not have mattered legally. The state would grant his wife the divorce. What questions could be asked? 1. How do you know your brother has trespassed against you? 2. How do you tell him if he has? 3. How do you know if he has repented? 4. Which two or three witnesses do you take? 5. What do or did they witness? the trespass? or what you say to your brother? 6. How do you tell it to the church? Do you tell it to the elders only? Or do you set it out before the entire congregation? 7. 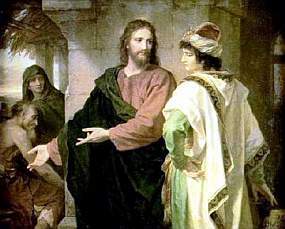 How do you treat an unbeliever and tax collector? Is he thrown out of the church? If not, how do you continue in that church? That I could discern the specific answer, yet not be able to counsel him too well about the rest, either says something about me, church, or both. Man, I read your comment and it really hit me. Really. I’ve been in the same exact situation you were and it’s a really helpless feeling. You want to say the godly thing, yet what that thing is may be tough to determine. This is people’s lives we’re talking about. That’s a heavy responsibility. Too often, we take it too lightly. We can’t do that. Sometimes the “how” is so easy, we think it will not work. My house church’s apostle advises people who struggle to forgive to pray over and over again: “Lord, I forgive [that person]. Bless [that person].” The devil does not like people blessed, so he stops tempting us to be in unforgiveness. I followed his advice as a teen when an acquaintance spited me. It worked. Recently, a divorced friend moved back here, filled with rage against his ex-wife. We spent three hours together. I urged him to forgive his ex-wife. I felt like I was preaching an evangelistic meeting, and the prayer above was the “sinner’s prayer.” He promised me he would say it before bedtime, but he would not pray it in my presence. He has not called me since then.